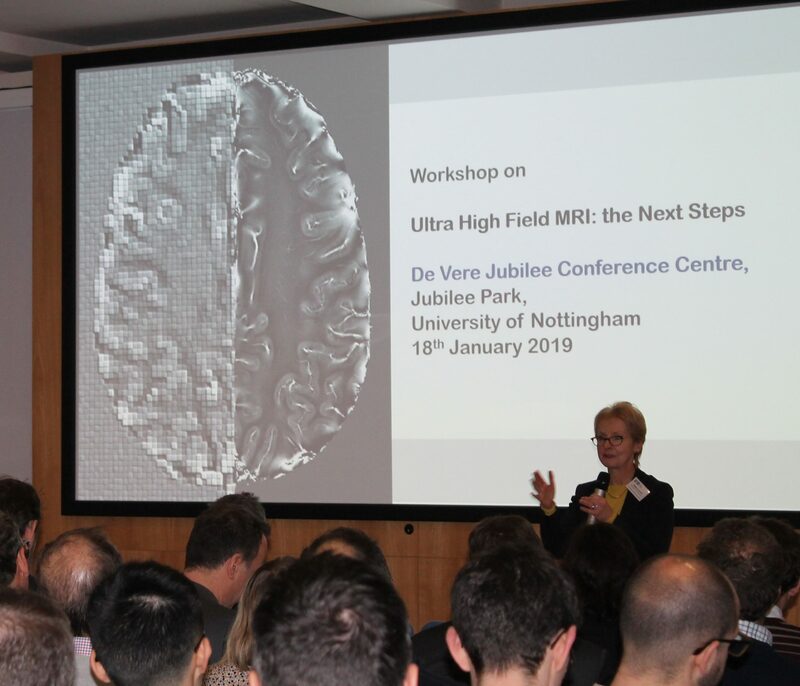 The ‘Ultra High Field (UHF) MRI: the next steps’ workshop at the University of Nottingham went fantastically well, attracting around 110 people, including UK and international experts. 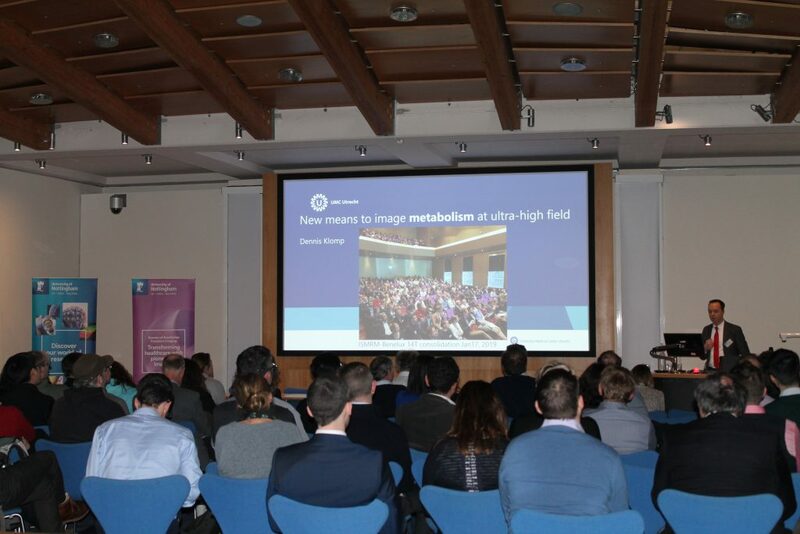 Professor Dame Jessica Corner, Pro-Vice-Chancellor for Research and Knowledge Exchange, introduced the workshop, writes Elizabeth Hufton, Research Development Manager, Precision Imaging Beacon of Excellence. The event took place to expand the case for an ultra-high field (11.7T) head and body MRI scanner within the UK. Delegates included a range of international experts exploring the ultra-high field landscape, recent technological developments and exciting applications to which ultra-high field offers unique advantages. Professor Richard Bowtell, Director of the Sir Peter Mansfield Imaging Centre at the University, welcomed the attendees and set the scene for the day. Speakers included: Kamil Uğurbil (University of Minnesota), Jozien Goense (University of Glasgow), Klaus Scheffler (Max Planck Institute for Biological Cybernetics, Tübingen), Luisa Ciobanu (CEA/Neurospin), Mark Ladd (German Cancer Research Center, Heidelberg), Andrew Webb (Leiden University Medical Center) and Dennis Klomp (UMC Utrecht). A valuable panel discussion took place at the workshop involving the speakers as well as Professor Ian Hall and Professor Peter Morris, CBE from the University of Nottingham. The event, on 18 January 2019, finished with the vendor presentations from: Rory Warner (Tesla),  Doug Kelley (GE), Darren Houlden (ASG), Christina Triantafyllou (Siemens) and Paul Folkers (Philips). 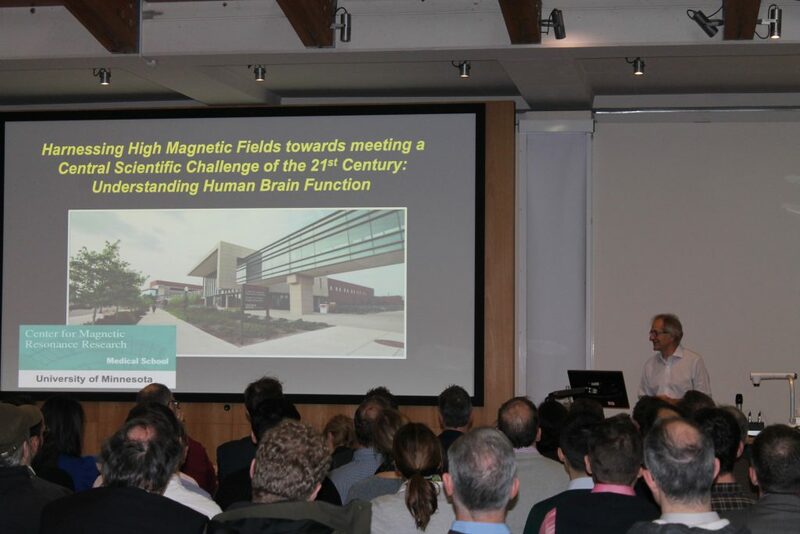 Kamil Uğurbil spoke about ‘Harnessing high magnetic fields towards meeting a central scientific challenge of the 21st Century: understanding human brain function’. Jozien Goense discussed ‘Laminar specific fMRI at high field,’ and Klaus Scheffler’s talk covered ‘Benefits and challenges of human brain imaging at 9.4 T’. Luisa Ciobanu’s talk was entitled ‘Preclinical functional MRI at ultra-high magnetic fields’. Mark Ladd spoke about ‘Whole-body imaging at 7 tesla and perspectives for 14 tesla in Germany’. Andrew Webb’s talk covered ‘Clinical studies and clinical research at 7T’.